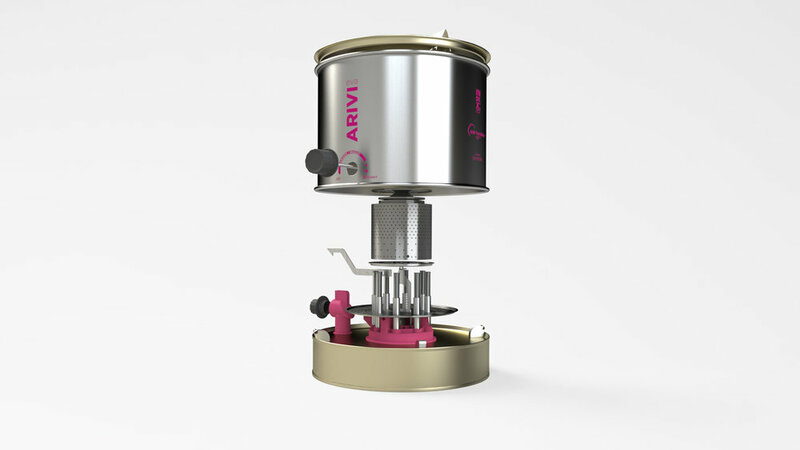 Eva cooker for Arivi – Pretoria, South Africa – Arivi’s Eva is a safe, efficient wick-based kerosene stove. SuperUltra originally collaborated with BP’s London-based Emerging Consumer Markets Division to create this life-saving kerosene stove for low income consumers worldwide. The Arivi Eva cooker meets the world’s strictest standards for safety and indoor air quality while being manufactured in emerging market settings at an exceptionally low cost. For more about the Arivi Eva and to buy one for a person in need of a safe cooking solution, please visit the online store here. Computational airflow modeling, experimentation and expert advice produced a design that uses 50% less fuel than competitors. Eva is designed for assembly using one screwdriver, including it's patented safety shut-off mechanism and aircraft-grade stainless steel burner assembly. Watch the video to see the Arivi Eva's safety shut-off in action. Watch the Arivi Eva TV ad here.